A number of urban design consultants are advocating a new way of configuring town and village centres to improve the interaction between pedestrians and traffic. 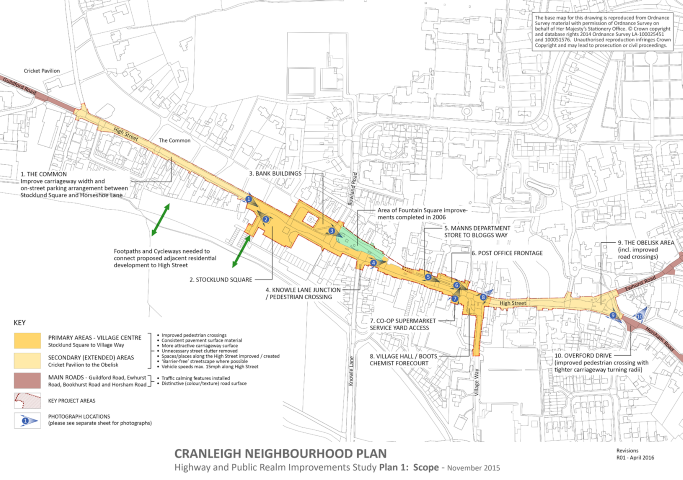 Their ideas have been implemented in numerous places throughout UK and have resulted in acclaim for the improvements they bring to the general atmosphere in a village centre. The philosophy of “shared space” is central to their designs and involves the replacement of street signs, pedestrian crossings and kerbs with a level paved area shared by pedestrians and vehicles alike. A public highway running through a village centre, giving vehicles right of way over pedestrians, effectively splits a village in half. Pedestrians are restricted to narrow paved areas on either side. 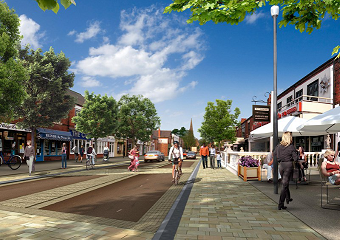 The new concept opens up a village centre and makes it more “user friendly” for pedestrians and drivers alike. By introducing lower vehicle speeds, pedestrians and vehicles are able to anticipate each other’s movements and interact safely. This effectively gives the village centre back to the local community. Pedestrians can cross the road without the need for traffic signals. Traffic flow is slower but since waiting times at signalled pedestrian crossings are eliminated, the volume of flow is maintained.